Qiu Xiao Jun defeats Silvester lopez in their fight for WBC Silver super bantamweight title. Happened in Wenshan, China yesterday February 22, 2015. The Filipino fighter who travel to China to get a new title really outclassed by the skills of the Chinese fighter. Silvester Lopez was knockdown twice in the 5th round and in the 6th round the referee stops the fight after he saw the Filipino fighter was damaged and can't continue the bout. 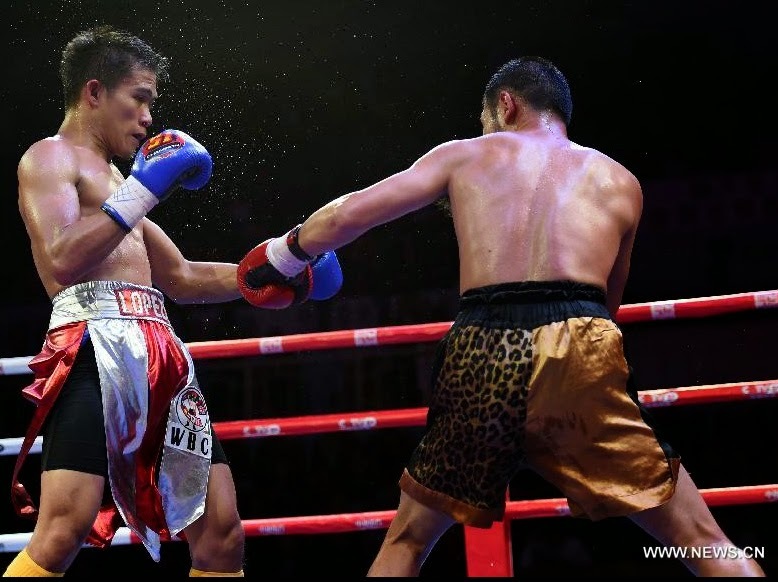 Qiu Xiao Jun improved his record with 15 wins including 7 wins by way of KO and has 2 losses while the Filipino Stallone falls with 23 wins with 17 wins by way of KO and 10 losses.